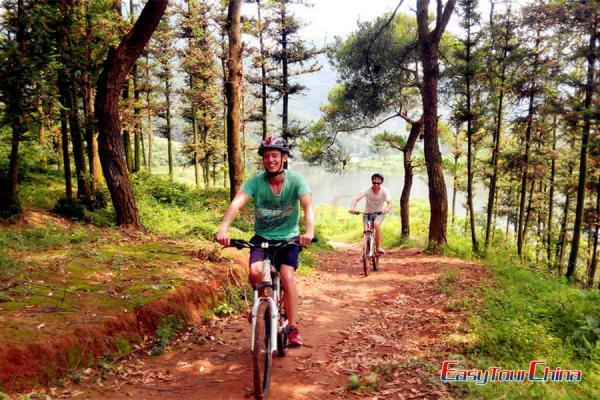 This tour perfectly is suitable for cyclists at any age and on any cycling level as we only cycle on the flat. 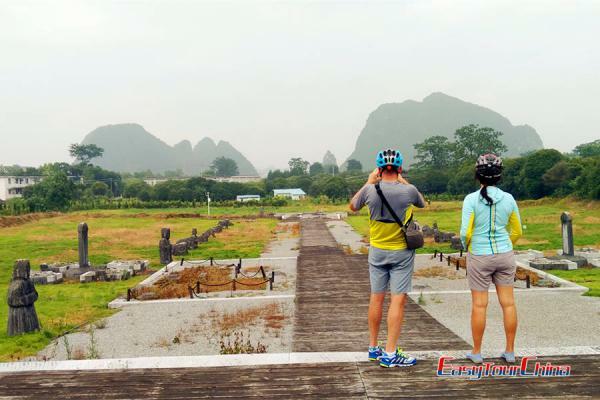 We cycle on both the urban and peaceful rural area, explore the nature, culture and history, enjoy the well-preserved Jiangtouzhou village of Guilin, and then take the shuttle bus or use our supporting van for a transfer back to Guilin. B. 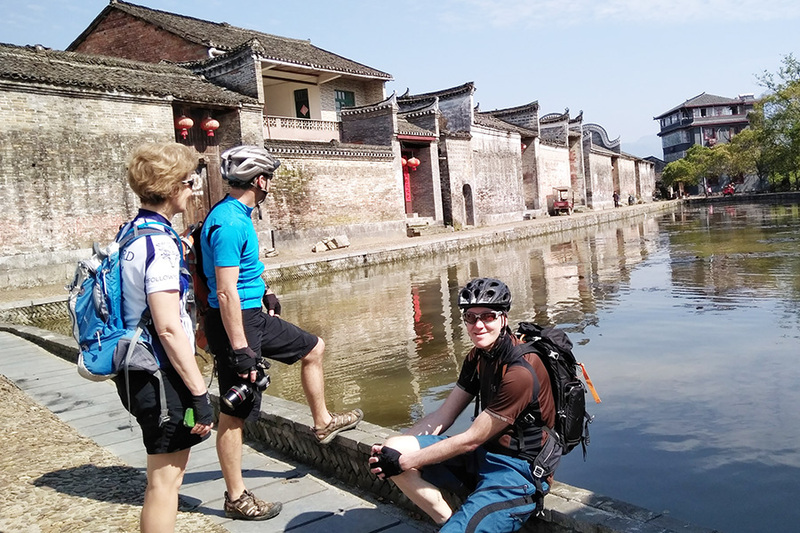 The Jiangtouzhou village is about 1000 years old and we can walk 30 minutes inside. C. Thin trousers and long sleeve cycling jersey (or over sleeves at least) is more suitable than short one to protect us from the sunlight while on the bike and help us to protect the disturbing bug living in the grass beside canal. D. Mosquitoes are common in summer, they bites but NOT carrying any diseases, they just make you itch. 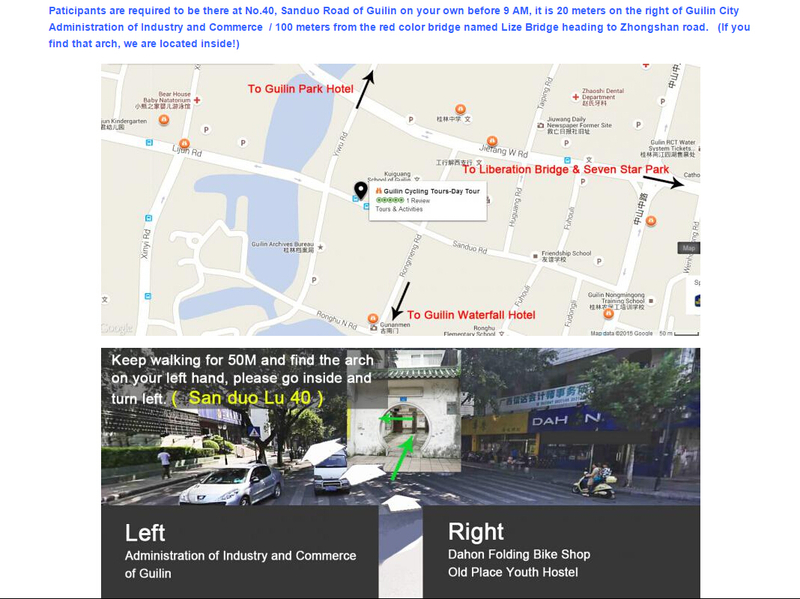 Well-maintained brand quality mountain bikes of 27 speed front suspension. One bottle of mineral water and simple local rice noddle lunch.